The wait is finally over. After years of hard work, the Mixxx development team is pleased to present Mixxx 2.0! 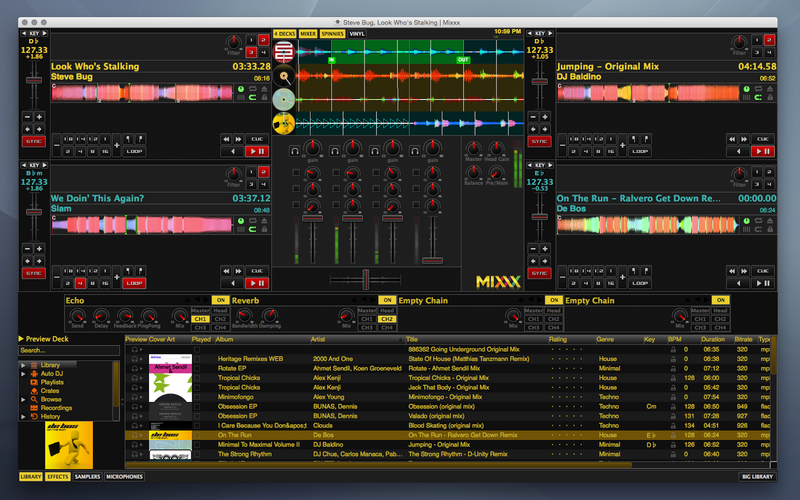 Mixxx 2.0 is the culmination of over a decade of work by hundreds of DJs, artists, and software engineers. We hope you enjoy it! If you tried our betas then you already know what you're in for. 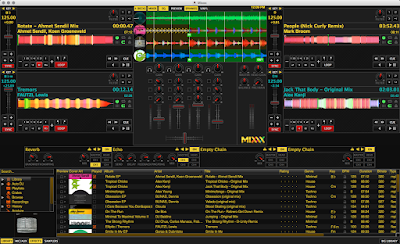 If not, check out this quick tour of the new features in Mixxx 2.0. In order to prevent a repeat of the long delay between the 1.11 and 2.0 releases, we are making changes to allow us to release new versions more rapidly. As part of those changes, we will soon cut the release branch for Mixxx 2.1 to get the ball rolling on our next release targeted for Q1 2016. Our focus for this iteration will be an already-completed rewrite of our Audio File Decoders and improved Controller Support. If you'd like to help out or even provide commentary / advice, see below for details on how to join us in making Mixxx great. We want Mixxx to rock parties around the whole world and we need your help to do it! If you speak a non-English language, we could use your help translating Mixxx as well as our manual and website. Check out our Transifex page and internationalization wiki for details on how to get started. We're always looking for new contributors who are interested in working on Mixxx. If you're a hacker, artist, or translator and want to work with a creative, enthusiastic team, hop on our IRC channel (#mixxx on Freenode) or sign up for our developer mailing list. 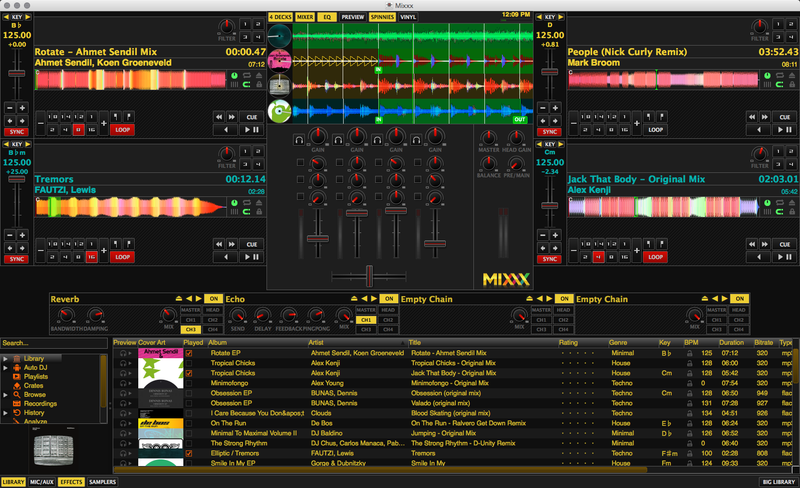 Mixxx 1.12.0 will be... Mixxx 2.0! We've been working towards this release for many years now. But we still need your help to make this our best ever. We need your help translating and testing. Today we're releasing Mixxx 2.0 Release Candidate 1. If all goes according to plan, we're going to get some more testing in from the community and have Mixxx 2.0 ready for all of your New Year's Eve parties! In order to make this release rock in every language we need your help with translations! This is the first release we are offering translations of the Mixxx manual in addition to the app itself. We are currently in dire need of translations for Spanish, Chinese and Japanese (among many other languages). Check out our Transifex page and internationalization wiki for details on how to get started. Support for MIDI/HID controllers is historically one of Mixxx's biggest weak points. If you have built a controller preset for a device, please consider submitting it for inclusion in Mixxx as a community-maintained preset! Check out the guide on our wiki for more details. Hi Mixxxers -- did you miss us? The Mixxx team has been quietly toiling for over 2 years to bring you Mixxx 1.12. This will be our biggest release ever and we need your help to make sure that it's our best ever as well. We've been doing alpha testing with our dedicated forum users for a while now and are ready to release Mixxx 1.12 Beta! New Pitch-Independent Algorithm for Better-Sounding Key-lock. If you tried the Alpha release, be sure to check out the Beta. There are a ton of new features and fixes even since then. And we'll be updating the Beta every week, so you can always have the latest updates. In order to make this release rock in every language we need your help with translations! We are currently in dire need of translations for Chinese and Japanese (among many other languages).